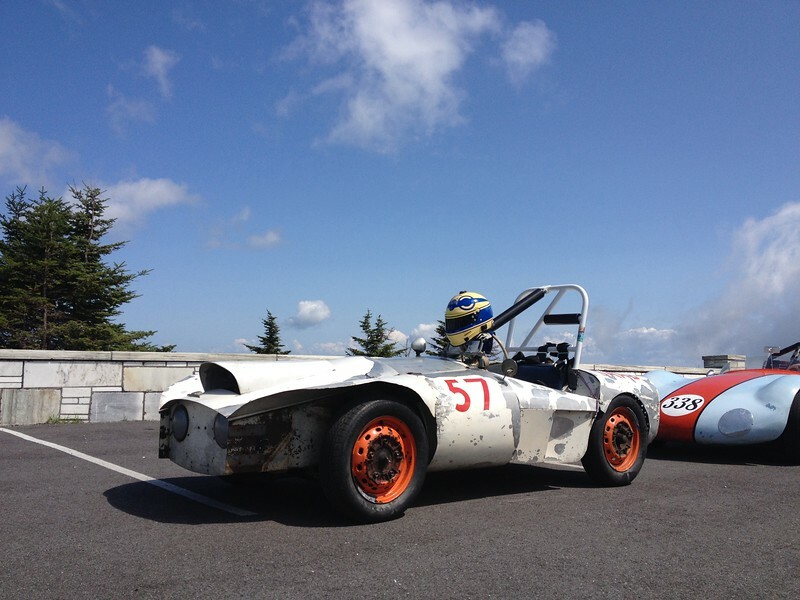 Dad and I decided that we would try something different at the Mount Equinox hillclimb this year. 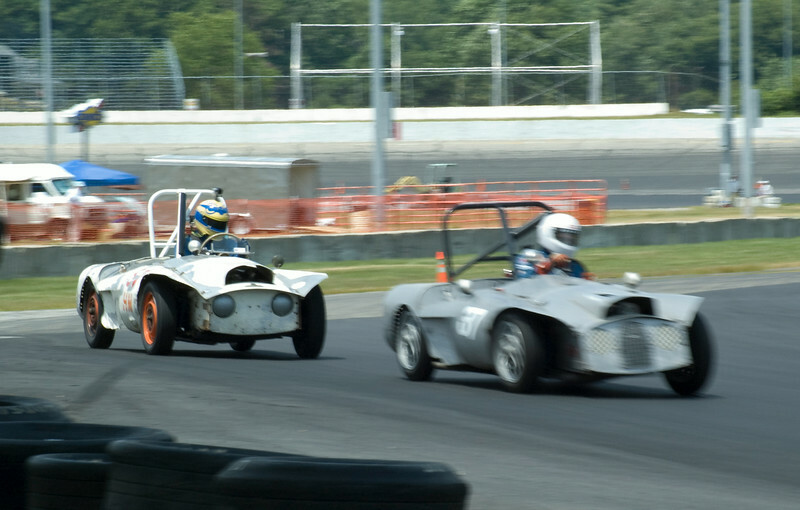 Instead of shooting for a really quick time with our fastest cars, we would bring the two Quantums and fly the flag of H-Modified in the VSCCA. 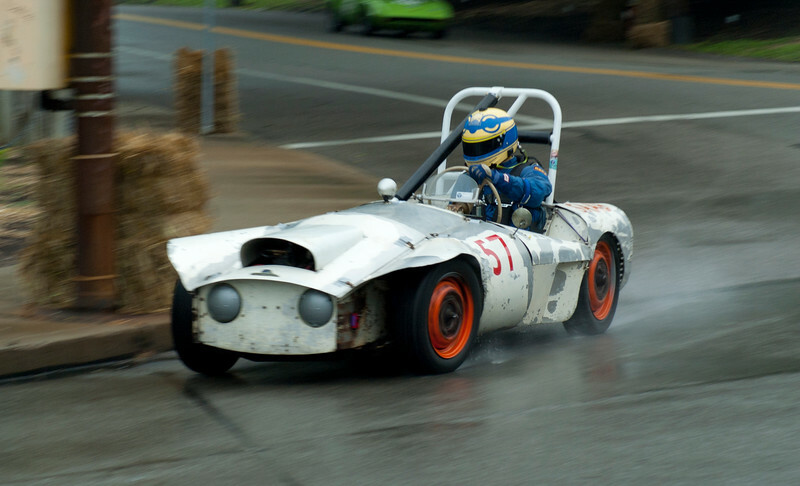 True, H-Modified cars are not very good at hillclimbs, but we figured we'd still have fun and it would be good to give the fragile Lotus a break from the brutally cracked and bumpy mountain road. The cars showed well, doing the best that could be expected of their scant displacement. However, both ended the weekend a little injured. 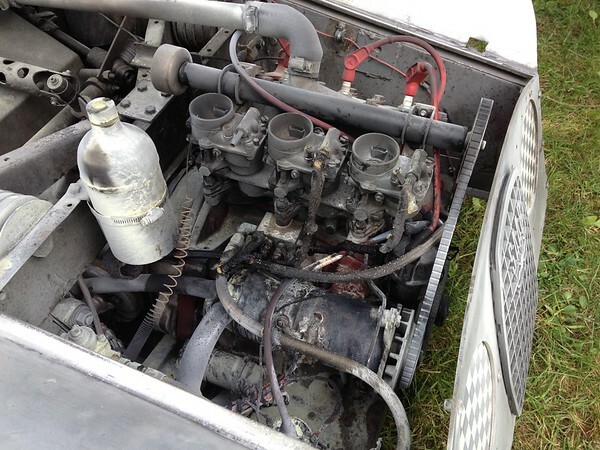 The Quantum One caught fire after a fuel line came loose on the descent. 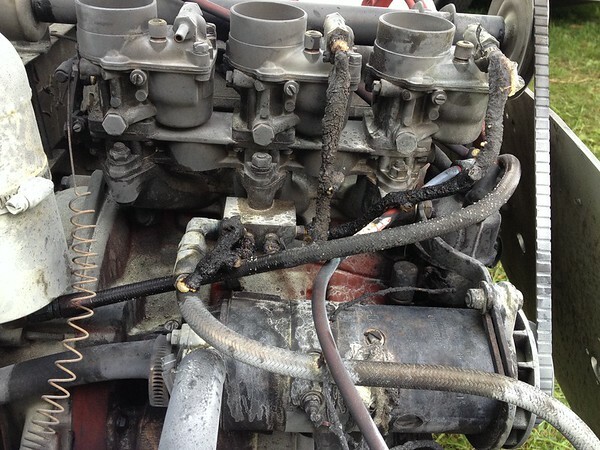 The engine side-stay failed on the Quantum Two and the engine broke two piston rings on the final run up the mountain. 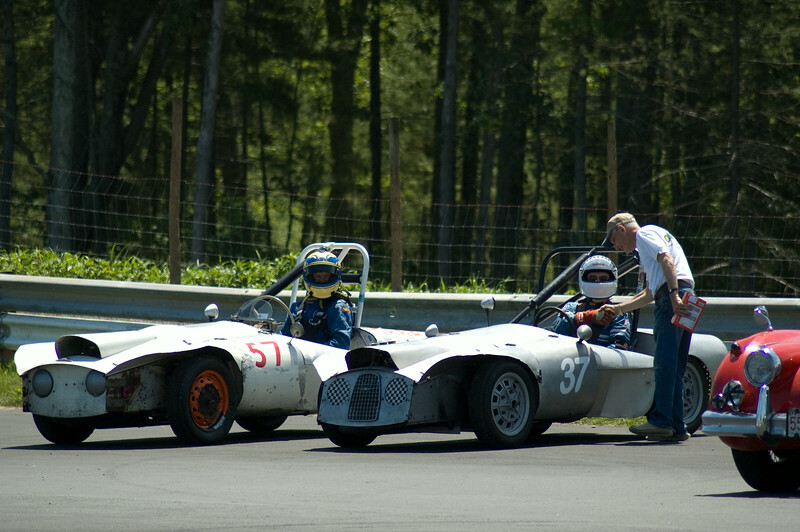 We had fun, but have a bit of work to do over the winter to repair the cars for 2015. 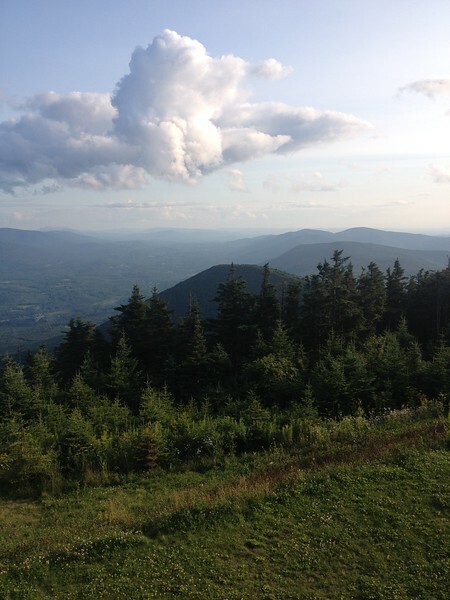 The view from the top of the mountain. Yes, we climb all the way from that valley. 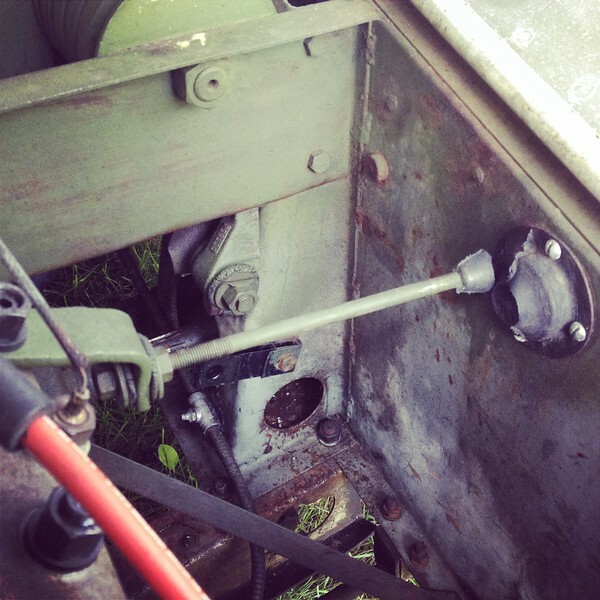 The failed side-stay on the Q2. 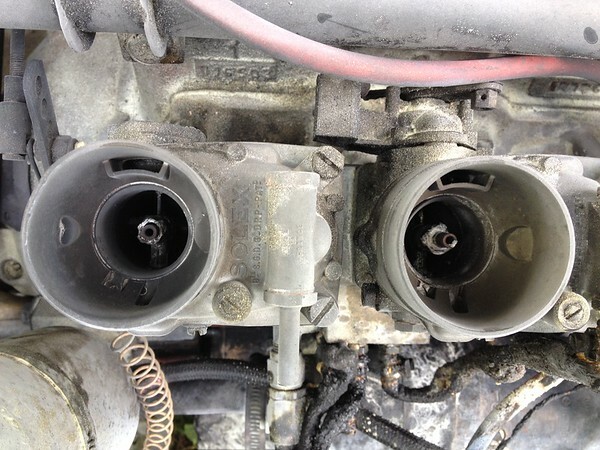 I fixed it and continued to race. 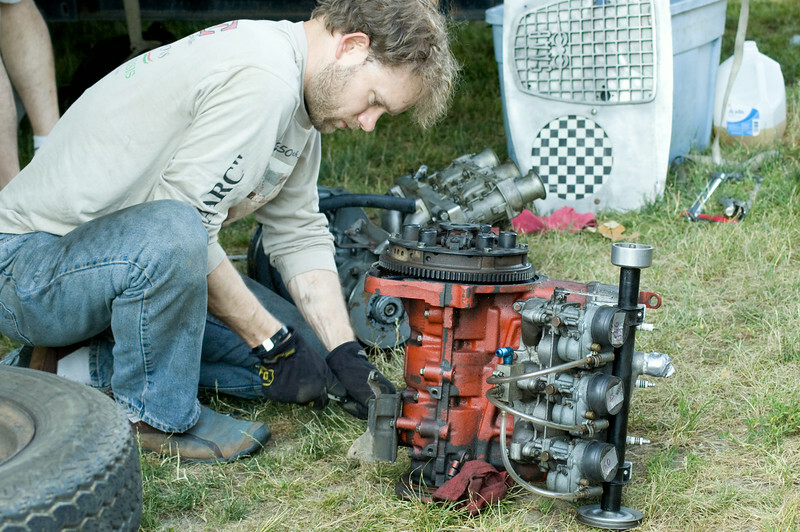 The Vapaa Vintage Racing Quantum pits. 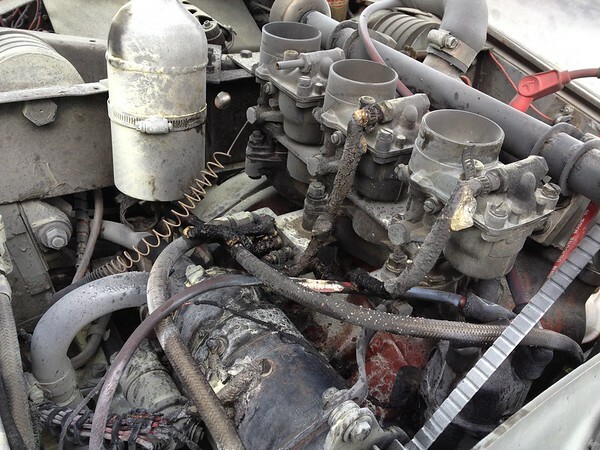 Damage from the engine fire on the Quantum One. 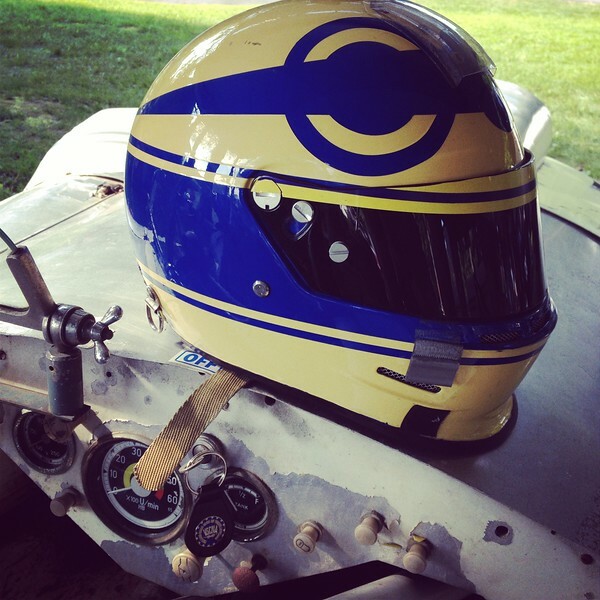 My custom helmet, helping to keep things SAAB. 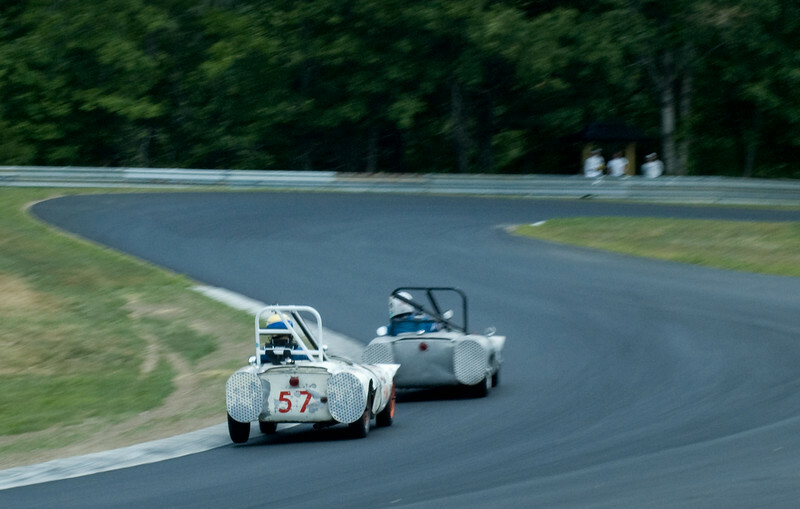 The Quantums One and Two have returned to the place where they (or, at least the Quantum One) first raced, the Thompson Motorsports Park in Connecticut. 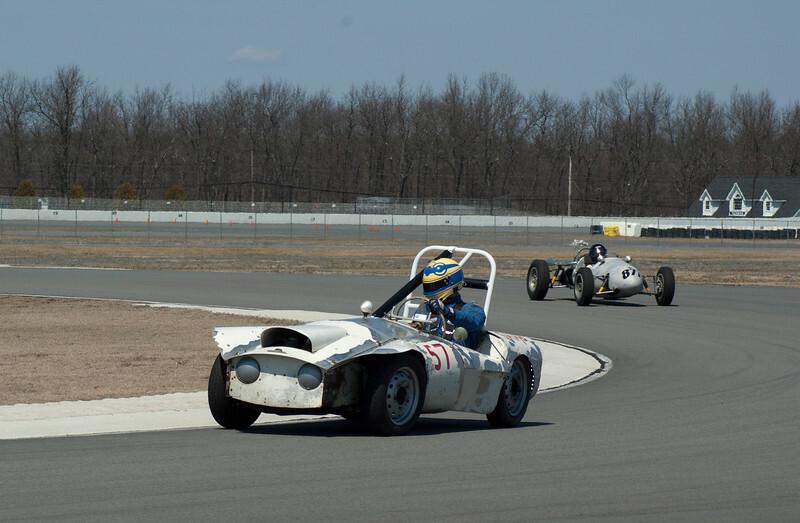 The track recently reopened and the VSCCA and VRG joined forces to put on the first vintage event there. It seemed a perfect place to take the two Quantums. While FAR from a trouble free weekend, Dad and I did manage to get out for the final session together and as these photos will attest, had a great time doing it! As I said, FAR from trouble free. 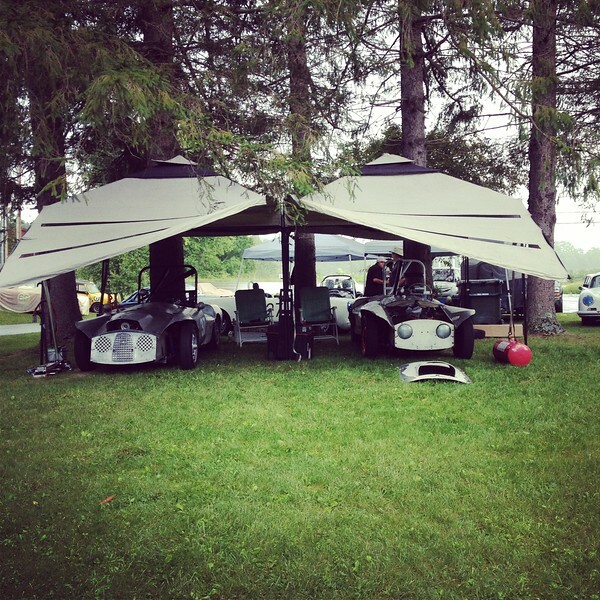 Dave (seen below at the 2014 Thompson Vintage Motorsports Festival) owns the Quantum Five. 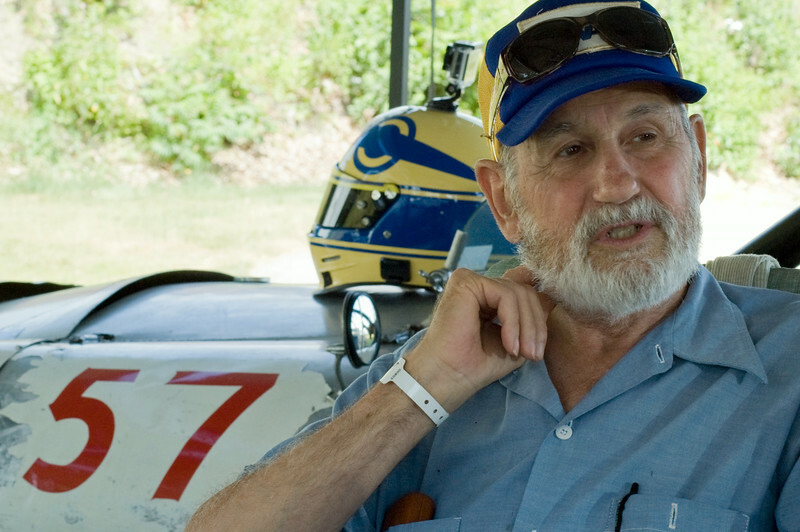 Dave has been an avid proponent of the preservation of Walter Kern's Quantum cars over the years and has authored a few articles on the topic. Here is one of them.